For the past few years other seasonal holidays have upped their game, gaining more and more notoriety. 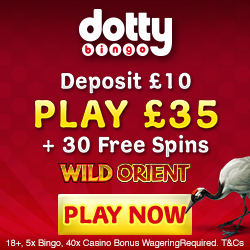 Because of this the festive season has taken a bit of a back seat, but at Mobile Bingo Bonuses we’re not standing for it! Join us in casting aside that bah humbug spirit and let’s make Christmas great again! It just so happens that as well as being our festive mantra, make Christmas great again is also the name of a generous and fantastic promotion. Guts Casino have had a Mr Scrooge like transformation, dishing out some magnificent prizes. Offering their players everything from top of the line headphones to 4K Ultra HD Smart TVs. However, the angel at the top of the tree has to be the brand new Mini Cooper car. Your behaviour won’t lessen your chances of winning, so it doesn’t matter if you’ve been naughty or nice you still have the chance to win a brand new car. Just to crank up the festive fun, Guts are also rewarding players with extra prize points every single day. 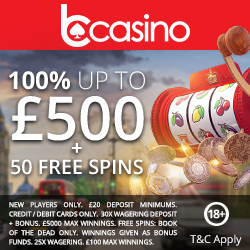 Simply answer a Christmas quiz question each day to receive anything from bonus spins to cash bonuses, the answer doesn’t even have to be right. Before you start playing you have to create you’re Christmas wish list. Just click the present icon to see the prize options for each of the seven levels of the promotion. Select the gift you want from each level then send you wish list to Santa. Gaining points to win prizes is also really easy. 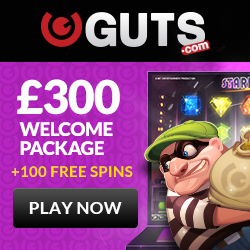 Log in to your Guts Casino account and play your favourite slots or live dealer casino games. There’s a handy little progress bar displaying how well you’re doing, or how close to your prize you are. The more you play and the more quiz questions you answer, the more your progress bar will fill up. Once your progress bar is full your prize for that level can be put in to your stocking. Continue to play through the levels to win all the wish list prizes available, maybe scooping the Mini Cooper. To give yourself the best chance of winning all your prizes, remember to answer the daily question and make regular deposits. The Make Christmas Great Again promotion doesn’t really have a catch. Simply deposit a minimum of €20 and play casino games between now and the 24th December to become eligible. So if you fancy a few extra presents under the tree this Christmas, head over to Guts Casino and build that wish list.